In a new economic report by Frost & Sullivan and the Council for Responsible Nutrition Foundation, the potential for savings was examined. The report found that supplements taken preventatively could reduce numbers of medical events. This indicates the equivalent of hundreds of millions of dollars in health care savings. The report studied four types of chronic disease. U.S. adults with these diseases used one of eight supplement regimens. Medical events (emergency room visits or inpatient procedures) related to the disease were reduced. For example, normal medical events related to coronary heart disease cost $77.92 billion a year. But the report found that supplement intake could reduce this. 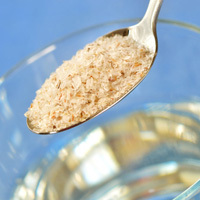 Men and women over 55 with high cholesterol took psyllium dietary fiber. The resulting decrease in medical cost amounts to almost $2.5 billion dollars a year. The standard costs for both health care providers and patients with chronic disease are enormous. Dietary supplement use has played a part in the prevention of these diseases. But so far, the health care system has done little to highlight prevention and reduce these costs. 75 percent of health care dollars go toward the treatment of chronic disease in the U.S. Only 3 percent go to prevention. The Frost & Sullivan report sheds new light on the importance of preventative health care. Rising health care costs affect both providers and patients. This should start new dialogues about supplements and other preventative health measures. Highlighting prevention is also in the interest of insurers and employers wanting to reduce premiums and absenteeism. Shifting the focus to prevention shows both health and economic benefits. Source: Council for Responsible Nutrition Foundation. Note: At Natural Eye Care, we offer information about supplements for the eye. Researchers studied food and vitamin/mineral supplement consumption of adults in the United States in an effort to measure whether older adults were consuming enough nutrients. In this study, 4,384 adults aged 51 years and older were evaluated. 1,777 reported taking supplements daily, 428 took them infrequently, and 2179 did not take daily supplements. Nutrient intake distributions were estimated using the Iowa State University Method. Overall, less than 50% of adults evaluated met the Estimated Average Requirement (EAR) for folate, vitamin E, and magnesium from food sources alone. Of those who were taking supplements, 80% or more met the EAR for vitamins A, B-6, B-12, C, and E; folate; iron; and zinc, but not magnesium. However, it was noted that some supplement users, particularly men, exceeded Tolerable Upper Intake Levels for iron and zinc and a small percentage of women exceeded the Tolerable Upper Intake Level for vitamin A. The researchers concluded that a large proportion of older adults do not consume sufficient amounts of many nutrients from foods alone. Supplements can help compensate for this deficiency, but only an estimated half of this population uses them daily. SOURCE: “Older adults who use vitamin/mineral supplements differ from nonuser in nutrient intake adequacy and dietary attitudes”, Sebastian, et al, Journal of the American Dietetic Assoc 107(8):1322-32, 2007.